Shop genuine apache tears pendants handcrafted from natural stones. We carry a variety of beautiful healing apache tears crystal pendants to choose from. 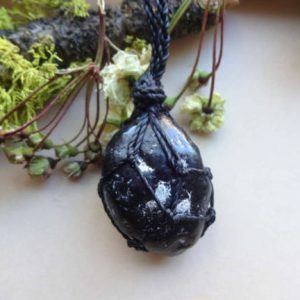 Apache Tears Pendant Meaning Apache Tears are helpful for surfacing grief held in the emotional body in order to cleanse and heal old trauma or wounds from a previous life. 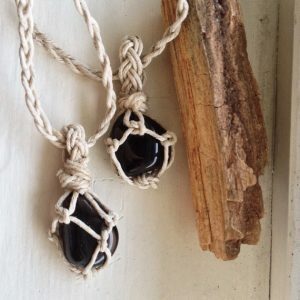 They also have the protective and cleansing properties of obsidian, in an easy to carry form. Visit Apache Tears Meaning & Properties for more about the benefits of apache tears. Thank you for shopping for Apache Tears Pendants! Apache Tears healing properties include: emotional healing, grounding, mental health, protection. We have scoured Etsy to find the best genuine apache tears pendants. We look for handcrafted & handmade, unique, OOAK, & high quality natural gemstones.